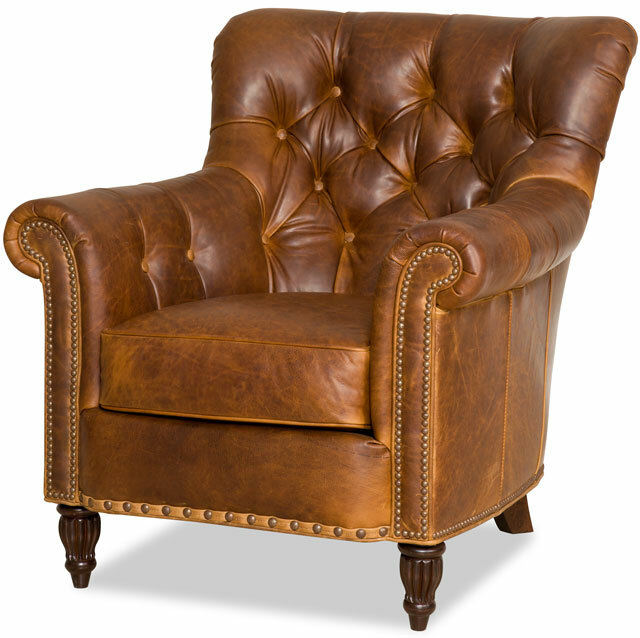 Bradington Young - Leather Club Chair 463-25 - KIRBY Bradington Young - Leather Club Chair 463-25 - KIRBY [463-25] - - It's Free! The Bradington-Young Living Room Kirby Stationary Chair 463-25 is available in the Hickory, NC area from Bradington Young. Product Description The Kirby Stationary Chair is offered in hundreds of leather options and includes a standard nailhead trim #9 and #54 in natural finish. Other decorative nailhead finishes are available. Comes with a standard mahogany finish but other finishes are available. It features a tufted seat back and a premier down seat.